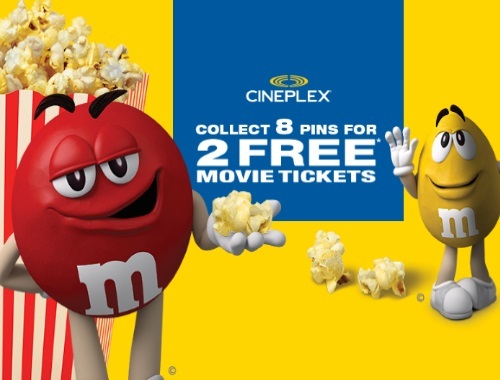 M&M and Cineplex has a new offer! Collect 8 pin codes from specially marked packages to get 2 Free Cineplex Odeon movie tickets! Limit of two (2) requests per household (maximum 4 tickets in total).